So someone said we really should use a mandolin for one of the songs we're doing. I took mine to practice Wednesday and they thought it was great, but trying to set up one of the vocal mics to suit it just takes too much time and trouble. I am not in the market for a �390 mic like the DCA 4099V as recommended on a mandolin forum. 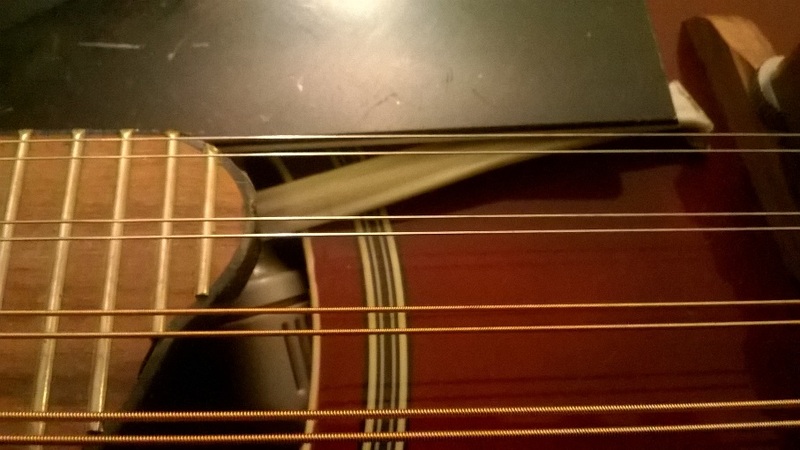 The Shadow piezo bridge at �105 costs more than my mandolin did (I wish now my wife had paid the extra �20 for the one with a pickup). What I want is something I can slap on that provides a half-decent sound at under �40, as we'll only use it for half a song in a 30-song set in a live environment. I've seen Lavalier mics for �10 and I've even seen a wireless kit for �39.99. Any recommendations? 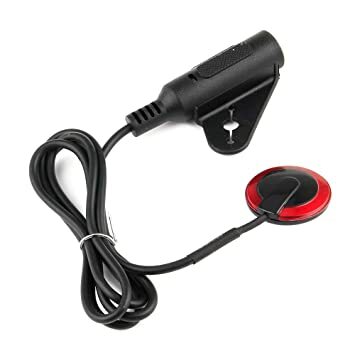 How satisfactory/awful would a cheap piezo transducer thingy be? If it was only one song, I'd certainly be wanting to find out if I can sort this out for a fiver before spending anything more on it. .. not quite sure how the transducer attaches. They're normally a sticky pad type thing I think. I've seen people use them on violins. Thomann also offer an alternative to the DPA mics called the ovid series. Although they're by no means cheap, they're a lot more affordable than DPAs and sound pretty good. I remembered I have a bunch of cheap mics in broken headsets so first I'm going to try a cheap Sennheiser wedged under the scratchguard. Well, that didn't work because it's an electret mike that needs a voltage of 3.5v - 5v to drive the built-in FET buffer. Your PC or sound card mic input provides this. So while I'm thinking of how to incorporate a battery box in the line at low price, the cheapest solution is a nasty little piezo like the one I posted above, but found a little cheaper. It should be winging its way from Shenzhen even now... delivery by 27th April. >>This<< looks interesting, too. Easily removed and transferred, preamp, monitoring, second mic input? Lacks EQ, I guess. That's two transducers and three volume knobs? I don't see the benefit of not just running things to the desk anyway. I suppose it would be handy if you don't have a sound man or if you were playing by yourself or something. On Sunday night I was calling "more mandolin in the monitor please!" I guess it would get around that while making you look more of a plonker. I suppose there is that, it would be useful for monitoring. I suppose that it's also probably good value, in that it's two mics instead of one, plus 1 x Main Device and 1 x Earphone for less than the price of two transducers (and I suspect if it was clunky/impractical it wouldn't be hard to break into separate miscs). "more mandolin in the monitor please!" Tellingly, this is not something I've ever had to shout. I tried an Epiphone mandolin at lunchtime. It looked prettier but didn't play any better than the "Oldfield" my wife got me some years ago. SO it arrived... that flange takes some wrangling to get over the strap button and then you don't have space for the strap. Instead I've attached it to the guard using one of the guard fixing screws and tucked the surplus cable under the guard. Hmm. I suppose that will damp the sounding board somewhat, so I might re-visit that.